Long lasting, affordable steel chain. 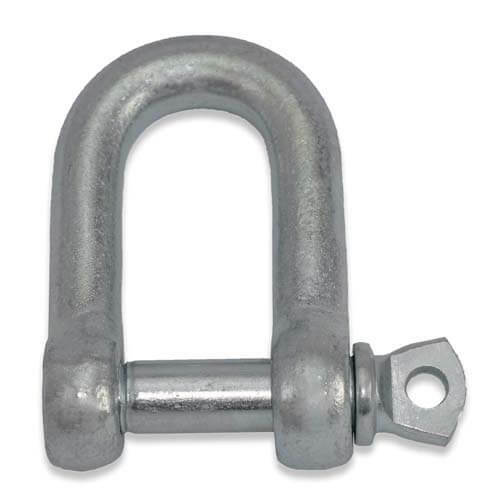 Looking for strong rust-resistant chain? Our zinc plated chain is perfect for securing your stockyards. Looking for a long lasting chain for use on your farm's gates and stock yards? Our zinc plated chain is made from quality steel to ensure a strong and secure chain. Our 6mm chain is perfect for lighter duty requirements such as securing a sheepyard gate. The 8mm chain is best for the heavy duty requirements needed for a cattleyard. Whatever you need them for, you can trust in the quality of our chains. What is the difference between zinc plated and GALVANIZED chains? Ultimately, the main difference between zinc plating and galvanised is that galvanised chain is better at rust prevention. However, zinc plating still provides good prevention against rust, except at a cheaper price. It is also easier to weld. 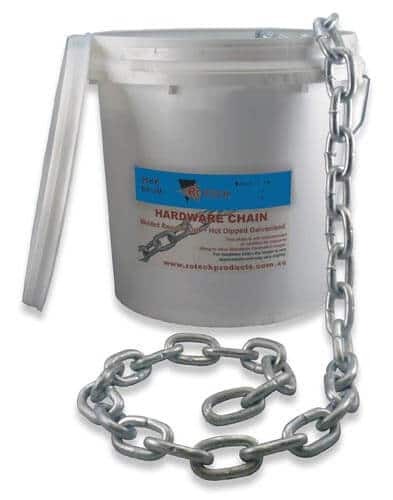 If you want quality rust prevention, we recommend our galvanised chain, otherwise our zinc plated chain will still do a good job at a fraction of the price.